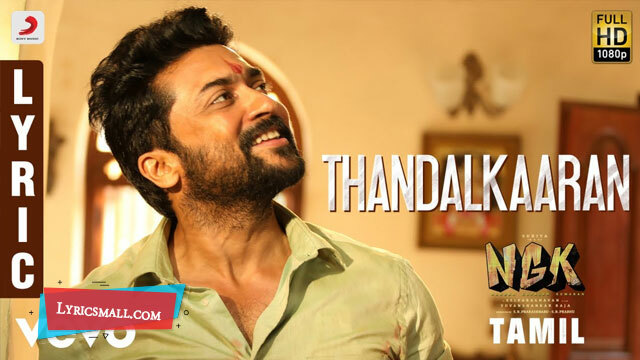 Thandalkaaran song lyrics from NGK Tamil Movie. Directed by Selvaraghavan. Produced by S. R. Prakashbabu & S. R. Prabhu under the banner Dream Warrior Pictures. Starring Surya Sivakumar, Sai Pallavi, Rakul Preet Singh in lead roles. Music composed by Yuvan Shankar Raja. Lyrics were written by Kabilan. Sung by K.G. Ranjith. Song released under Sony Music official label.